U2 stars Bono and The Edge have become directors of guitar business Fender. The duo will lend their expertise to the company, whose instruments are some of the most recognisable in music. 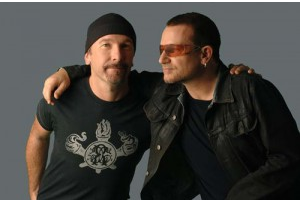 Fender Musical Instruments Corporation co-chairman Mark Fukunaga said Bono is a “visionary in the music world” whilst guitarist The Edge is an “innovator of unique sounds through his use of technology”. The U2 duo will use their creativity to help the business on future projects.